In Defense of Communism: Secretary Koutsoumbas in Thessaloniki: "A strong KKE means power for the people"
Secretary Koutsoumbas in Thessaloniki: "A strong KKE means power for the people"
In a large political and cultural event at Palais des Sports indoor arena in Greece's second largest city, Thessaloniki, the Communist Party of Greece (KKE) honored the 100 years since its foundation. 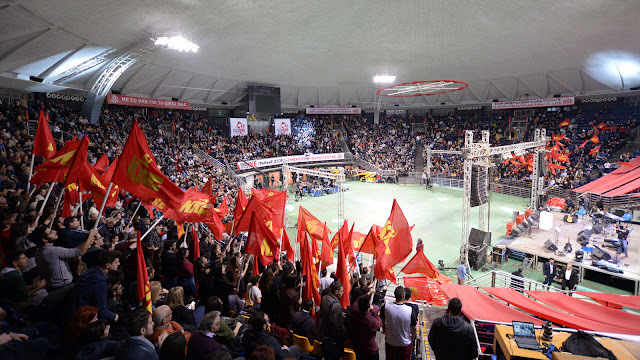 Thousands of people of every age, men and women, workers, students, pensioners, attended the event, while the General Secretary of the Party, Dimitris Koutsoumbas, delivered a major speech. Among other things, Koutsoumbas mentioned that the KKE celebrated its 100 years in Thessaloniki, the city which fairly has her own contribution to the history of the country's labour movement. "100 years ago, here in Thessaloniki, in the city with the different repressed populations, the spark of challenge was lit", the Secretary said. 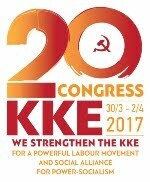 Koutsoumbas refered to the pioneer role of the city in the country's labour movement, including the foundation of the "Federacion", the Socialist Workers' Federation which was founded in Thessaloniki by Avraam Benaroya who later became one of the founding members of SEKE, the ancestor party of the KKE. 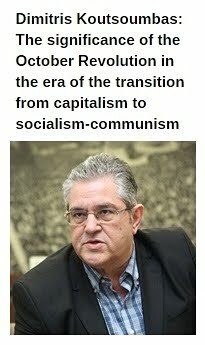 Dimitris Koutsoumbas mentioned that whenever the next elections- either general, local or for the European Parliament- take place, "the KKE must be strengthened" and added: "The people must turn their back to old and new "saviors" and reject the less evil theory which always leads them to the bigger one. 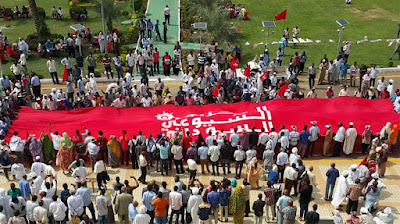 Now the people have the experience and must utilize it accordingly. They have tried everything, except from their own, actual power. 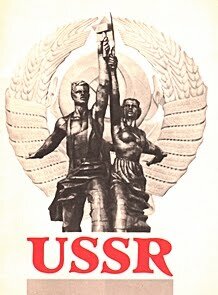 A strong KKE means power for the people. 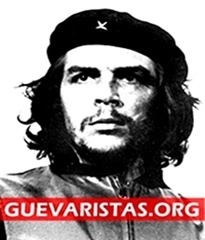 For that reason we strengthen the KKE everywhere, throughout Greece". 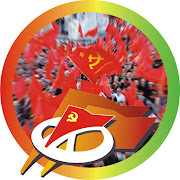 The General Secretary pointed out that "no government, neither the one of SYRIZA nor the one of ND (New Democracy), with their sidekicks, can give solution to the people's problems. 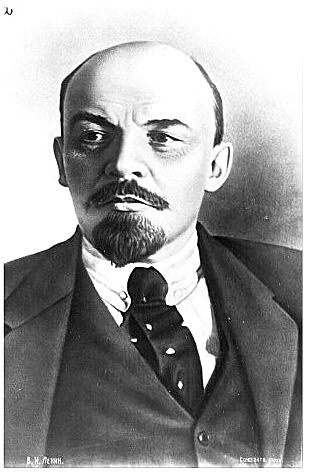 Because their plan is tailored for the profitability of the big capital, the EU and NATO". 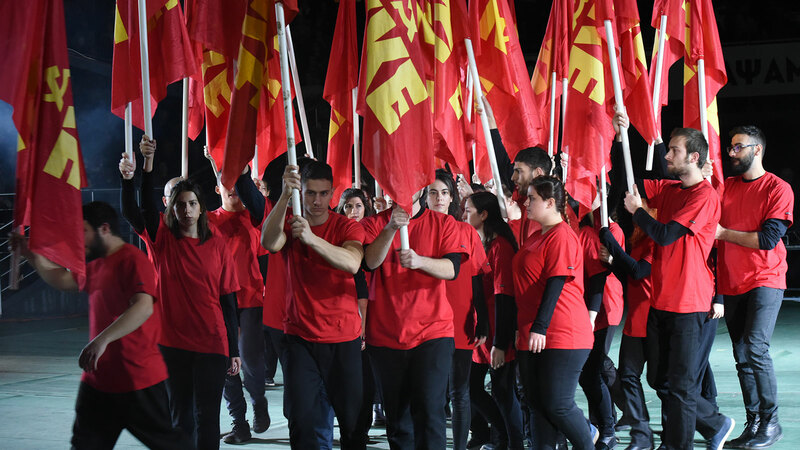 "A way out from the people's problems can only give the political proposal of the KKE" said Koutsoumbas and added: "Because the elaborated plan of the KKE responds to the need of our people to cover their modern needs. 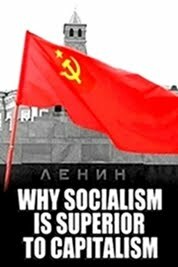 Because today, there are all capabilities for the people to live better, with a radically different organization of economy and society". 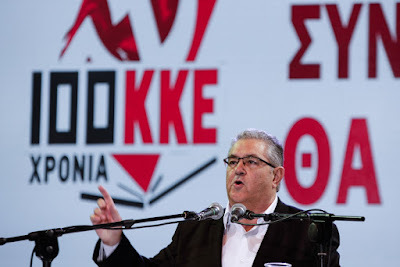 In his speech, the KKE General Secretary also refered to the anti-imperialist struggle of the communists in Thessaloniki, especially during the 1999 NATO bombing in Yugoslavia and the then massive demonstrations organized by the KKE and the city's labour movement. Dimitris Koutsoumbas made special reference to the effort of fascist forces to exploit the Macedonia naming issue, pointing out that "the fascists have no place in Thessaloniki, in Macedonia, nowhere in Greece". He condemned the Tsipras-Zaev agreement which was achieved under the pressure of NATO and the USA and underlined that "the KKE and KNE are fighting daily against the far-right, nationalism and nazism. 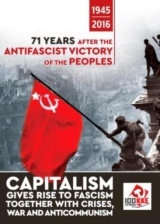 Because- he added- the strengthening of the anti-capitalist struggle, the regrouping of the labour movement, the rise of social alliance is the force which can cut the rise of nazism and fascism". After the speech, an audiovisual tribute- combined with a theatrical spectacle- highlighted the major moments of the KKE's 100 years old heroic life, including the May 1936 events, the persecutions by the bourgeois state, the heroic anti-fascist resistance of EAM during the Nazi occupation, the epopee of the Democratic Army of Greece (DSE), the resistance of the communists during the 1967-74 dictatorship and consequently until the recent years. The event concluded with an extraordinary concert with popular songs performed by talented local singers. Hungary Protests - What is happening?